Republic of Srpska is a political and territorial entity within Bosnia and Herzegovina, making 49% of its territory. Geographically it belongs to the South East European Region. It shares international border with Serbia, Montenegro and Croatia. RS covers the area of 24,858 km2 and it has 1.4 million inhabitants (estimation for 2015, Republic of Srpska Institute of Statistic). It is situated in the northern temperature zone and it is subdivided into three climate regions: Mediterranean, mountain and continental. The official currency in the Republic of Srpska is convertible mark. The international banking code for the convertible mark is BAM. Republic of Srpska has a very favorable strategic location. Its position on the European continent provides easy access for investors to the entire market of the European Union, Central and East Europe. It is connected to the Pan-European Corridor X. Motorway Banja Luka – Gradiška serves as a connection with the European road network, specifically with the E70: Ljubljana – Zagreb – Belgrade. Construction of the Banja Luka – Doboj motorway is also ongoing. Concerning transport links, it is also necessary to emphasize the importance of the Republic of Srpska’s access to the river Sava, which connects it to the European waterway Rhine – Main – Danube. Regular flights from Banja Luka Airport to Belgrade enable good links between Banja Luka and all the important cities of Europe. The Republic of Srpska is well connected also by the railway network, which provides commercial transportation of passengers and goods in BiH (Sarajevo/Ploce, Novi Grad, Doboj, Dobrljin) and towards the capitals of Serbia (Belgrade) and Croatia (Zagreb). The institutional framework for SME and crafts support has been established within the Sector for SME Development in the Ministry of Industry, Energy and Mining and Republic Agency for the Development of SMEs and local development agencies in local government units (a total of 13 agencies). In addition to these institutions support to the SME sector is also given by other ministries, departments for economy and development at the local level and the Chamber of Commerce and industry of Republic of Srpska, Chamber of Skilled Crafts and Entrepreneurship of the Republic of Srpska, Gender Centre of the Republic of Srpska and other institutions and organizations. There is also the Council for the Development of SMEs and Entrepreneurship of the Republic of Srpska, which is a Government advisory body to the whose members are representatives of entrepreneurs and institutions. 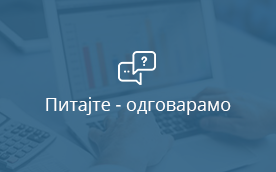 Republic of Srpska Investment and Development Bank gives financial support for SME sector through credit and guarantee lines created for start-ups and entrepreneurs, which enable the establishment of new and development of existing SMEs. In addition to this there are significant grant incentives from the state and local budgets. SMEs make 99.59% of all subjects in the economy of the Republic of Srpska, employing 75% of the total employed persons and achieving 77.13% of operating income of the company, 73.12% of sales in the foreign market and 75.54% of the total net profit in all companies. Having all these facts in mind, Republic of Srpska Government wanted to create a favorable business environment for SME sector and therefore conducted a whole range of reforms which significantly simplified and reduced the cost of business establishment. 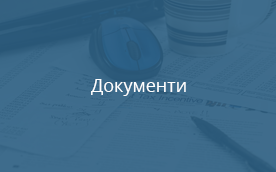 Reforms aimed at creation of as favorable business environment as possible (specialized commercial courts have been established, number of days required for registration was constantly reduced, etc.). The most important reform was finalized by the adoption of the one-stop shop business registration system which became operational on 01 December 2013. A reform package comprising 13 laws and a series of bylaws, as well as the organizational and technical assumptions, have allowed for the business start-up process in the Republic of Srpska to become much more convenient for the interested economic entities since 01 December 2013. 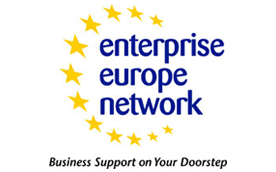 Time required for business registration has been reduced from 23 to 3 days; number of procedures has been reduced from 11 to 5 and costs of business start-up have seen multiple reduction, depending on the legal form of the registered entity (for simplest forms, such as the single-member LLC with minimum capital requirement, this amount starts from 100 EURO (including foreign trade activity registration)). Several more important basic data are noteworthy, i.e. registration of a business with foreign investment is now made equal with the registration of domestic companies; Local partner is not required for business start-up. The legislative framework in the field of SMEs in the Republic of Srpska was established in 2002 with adopting the Law on SME development. As the SME sector has been recognized as a very important also in the process of joining the European Union, in 2013 a new Law on SME development (“Official Gazette RS”, number 50/13) has been adopted which is aligned with the Small Business Act – SBA. Crafts and entrepreneurs sector is regulated by Law on craft and entrepreneurial activity adopted in 2002. In the period, from 2011 to 2014 new Law on craft and entrepreneurial activity (“Official Gazette RS”, number 117/11, 121/12, 67/13 and 46/16) and a set of regulations have been adopted which further regulated this sector. In addition to these laws strategic framework is also very significant for the development and support for SME sector and crafts and it is covered with the Strategy on Republic of Srpska SME development for the period 2016-2020.